EFFECTIVE FEBRUARY 5, 2019, the HTSA board meetings are now the 1st and 3rd TUESDAYS of each month. 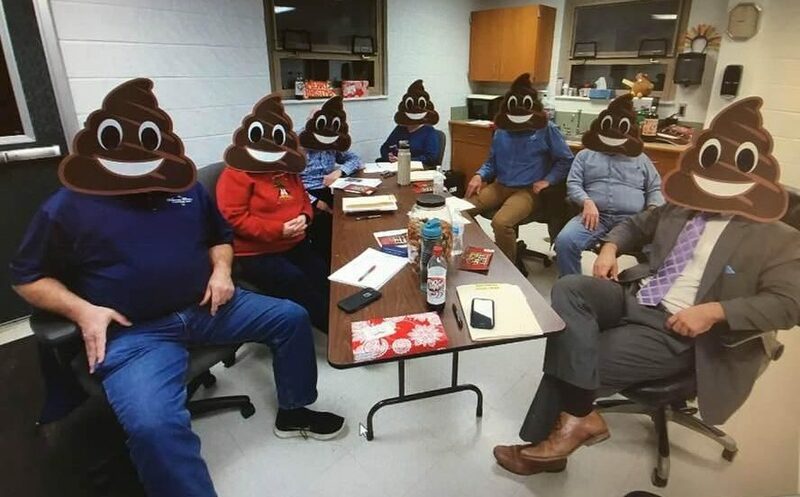 The meetings have relocated to the sewer plant at 533 Bavington Road, Burgettstown. The meeting start time remains 7pm. Please verify that the meeting on the 3rd Tuesday will still be held, as this meeting is prone to be canceled. The next regular sewer board meeting will be on Tuesday, April 16, 2019, at the HTSA sewer treatment plant located at 533 Bavington Road, Burgettstown, PA at 7 p.m.
HTSA now has the customer portal open for customers to view their account and payment histories, sign up for e-billing, or make payments on your account. The link to the portal is on every page of this website. Payments with an e-check, credit, or debit card still accepted through the “Pay My Bill” link. There is a fee to make payments using the “Pay My Bill” link. Payments made with your checking account through the customer portal are free of charge, while the credit/debit card charges are still subject to the fees. The reference number that the online payment systems are looking for is your account number. Delinquencies lists can be found in Payment Information. Water shut-off procedures may continue through the winter months against delinquent customers. It can be expensive to have water service terminated for non-payment of sewer charges. Some of the fees that will be added to the bill are: priority letter charges of $7.35 each, site visit fee for posting the notice on the door of $100 each, PAW shut off/turn on fees of $30 each, HTSA shut off and turn-on fees of $250 each, PAW lost revenue fee as determined by PAW, and legal fees, if necessary. TIP: If you have a water leak, call PA American Water (PAW) and ask them for a credit. If they give you a credit for that water leak, HTSA will give you an equal credit in gallons on your sewer bill. The customer service number for PAW is 1-800-565-7292. HTSA will soon begin connection enforcement proceedings with the local magistrate for those properties in Phase 2, Florence/Bavington Areas, in violation of Hanover Township Ordinance 106, mandating connection to the public sewer system. These proceedings will continue until all properties that are required to connect to the sewer system make the proper connections. IMPORTANT INFORMATION: Only those who have completed the mandatory training session are authorized by HTSA to pick up the grinder pumps and are approved to install the connections. If you need a contractor to install your connection to the sewer system, HTSA is providing a list of the contractors it has authorized to install for Phase 2. The list of contractors can be found on this site under “Forms and Information.” Please be aware that HTSA cannot and does not endorse any contractor, but provides the list only for your information and convenience. You enter into a contract with them at your own risk, so please make sure you understand the contract before signing it. If our office receives complaints about a particular contractor, they may be flagged and/or removed from the list. If you have any questions, please contact the office at 724-899-5055.